A hop skip away from Lake Junaluska. This is the time to consider a kayak or a SUP; really! What a great place to call home. Light and Lovely. Custom spec house built by the team at Masi Homes. This gorgeous structure is built around its extensive glass doors and windows. All extra tall and all extra wide. You will feel like you are living outdoors and nothing can be more delicious than that. 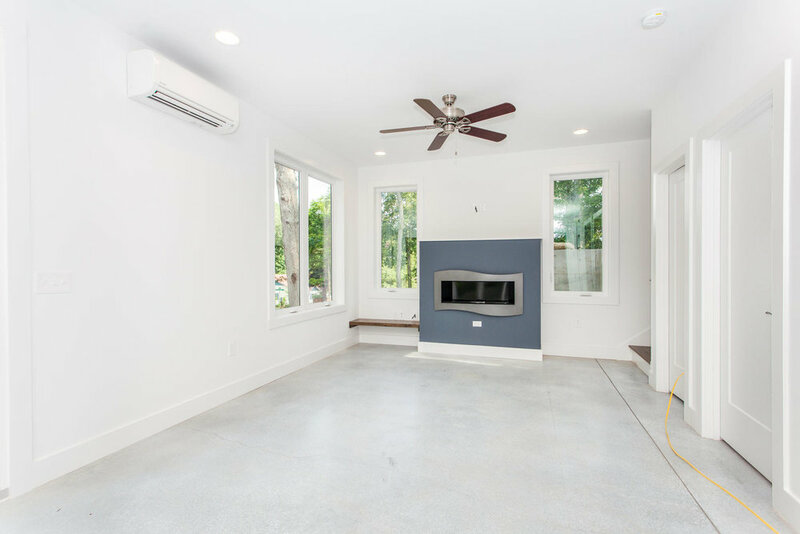 The master suite is fun and spacious for a small footprint house. 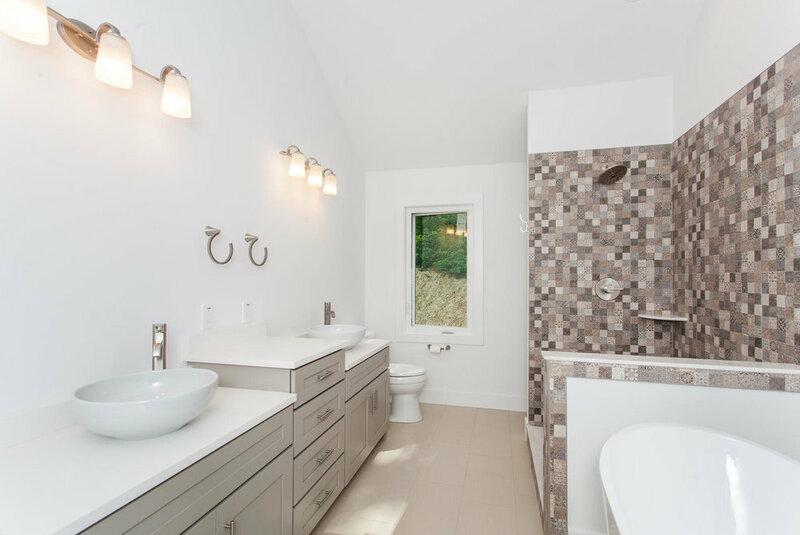 Lots of wood, tile, concrete, quartz…all the good things. 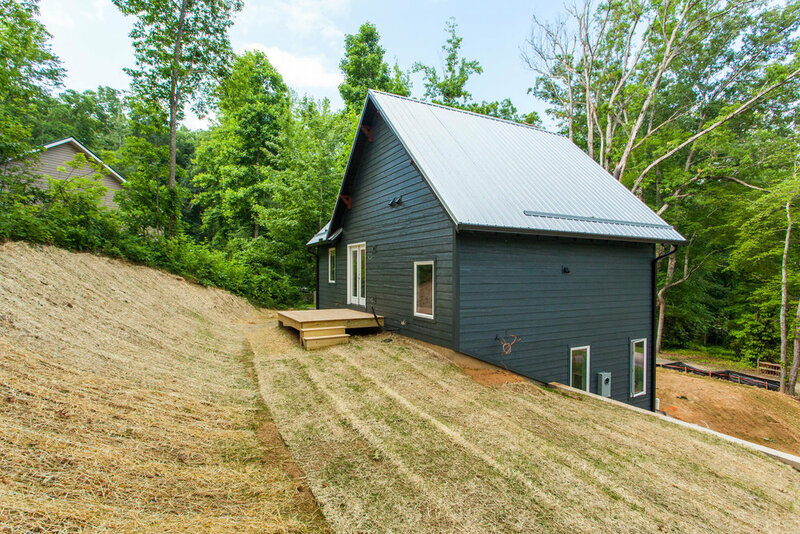 The exterior wood siding was specifically crafted for 29 Lundy Lane by a local wood worker. 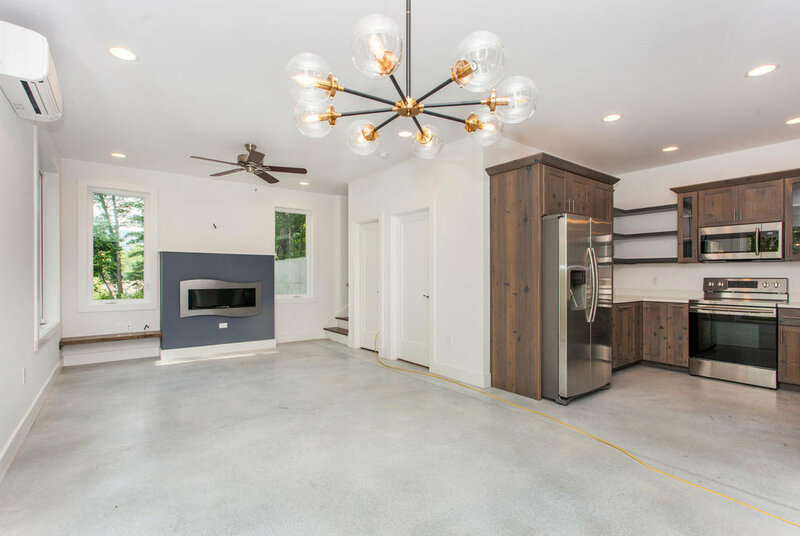 The concrete floors were stained by Ennis Art, a local concrete specialist company that takes a simple concrete product and beautifies it thru a unique process. 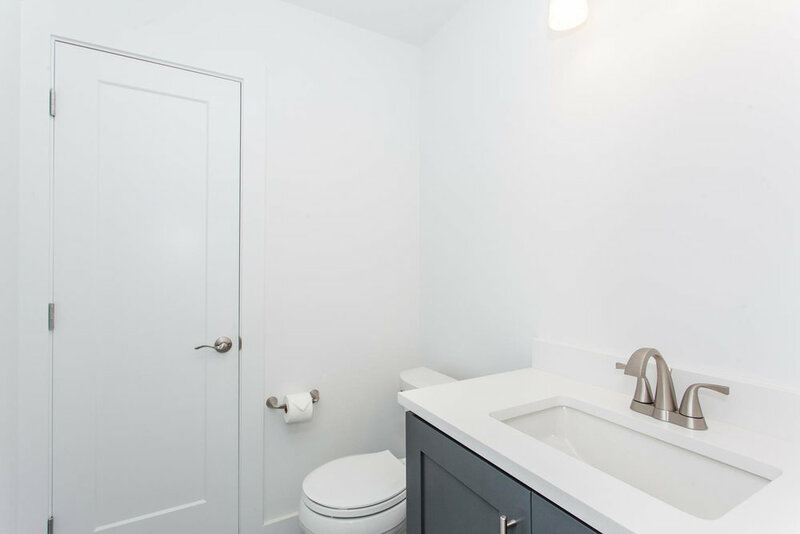 Brian from Legacy Heartwood and his team, custom built and installed the unusual kitchen cabinets, the floating vanities in the guest bathrooms and the master suite furniture like vanities as well. Our tile master, Ron Perusi, always makes every tile surface perfect and beautiful. 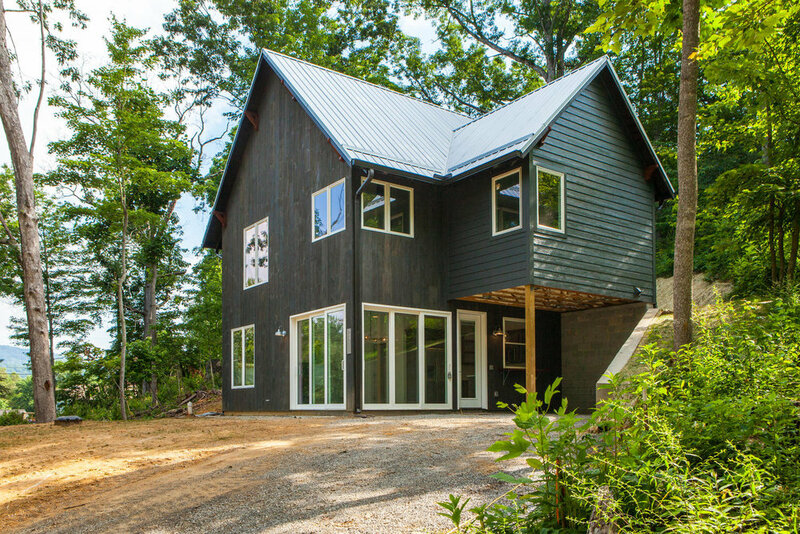 So many artist and tradesmen involved in the making of this one of a kind home. Oh and the 12/12 pitch roof is unlike the average house. It is labor intensive and unusual for the area but very much the main ingredient for the overall look of the exterior of this home. 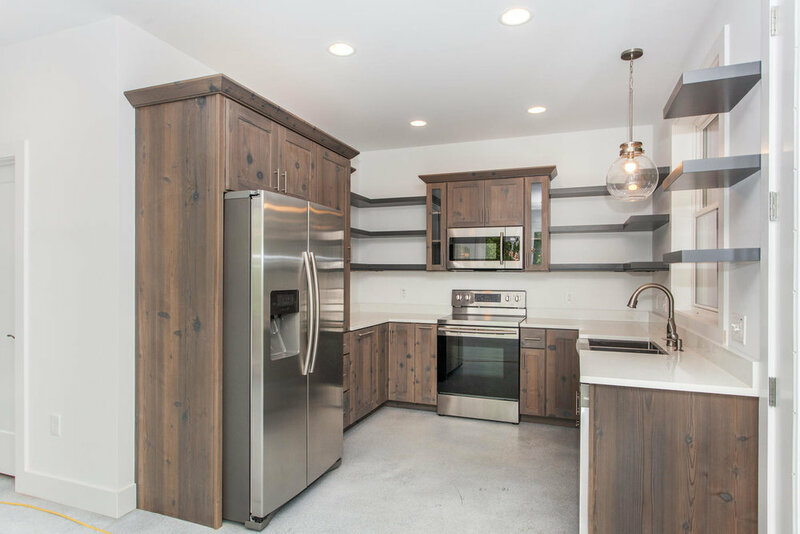 Smart and easy access to 23/74 and there are no lights between this house and Asheville, so simply perfect for the commuter. It is only a 30 minute run to AVL. If you are a golfer, well, there is Junaluska Golf Course in the neighborhood. The yard is lovely and lots of usable space. But you might be torn between playing in your yard or playing in the lake. Come take a look and we hope you fall in love. Call Jackie Cure (Broker/Owner) Masi Homes 828 507 0897. Thank you to Al Masiello, our contractor for his extraordinary skill and care of Lundy Lane.